Mens Cinch® Rolling Stone Denim Jacket. 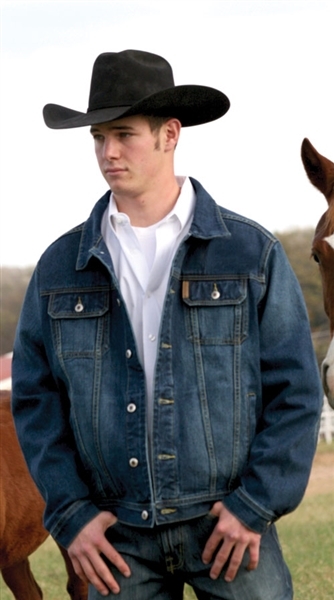 This unlined denim coat by Cinch offers a lightweight jacket. This dark stone-wash jacket has a button front closure, two chest pockets and hand pockets. It's perfect for working around the barn or for riding in. 100% Cotton.